To the locals, Lake Macquarie offers without a doubt some of the best boating waters in Australia. An hour north of Sydney, with satellite city Newcastle just to the north, the lake is 110km² stretching irregularly parallel and dividing the Pacific Highway from the coast. Said to be the Australia’s largest coastal saltwater lake, Macquarie is also the northernmost of a string of lakes starting from The Entrance in the south. Of course, fishing, boating, kayaking and water skiing are popular here, as is sailing and yacht racing supported by multiple yacht and sailing clubs. This iconic boating region is about to be further enhanced with the commencement of major marina developments and the efforts of the region’s leading boating business. 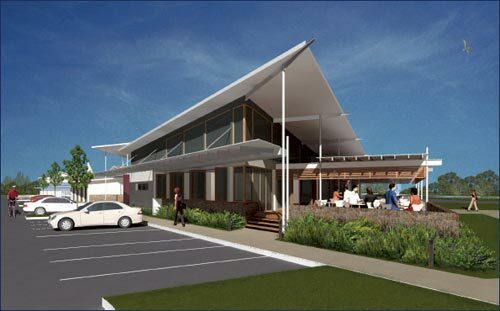 Lake Macquarie Yacht Club, on the lake’s northeastern shore at Belmont, is undertaking significant expansion to cater for growing berthing requirements of the region. It is adding a further 80 berths to its marina, and these are due for completion this year in time for summer. Meanwhile in the northern reaches, and on the other side, of the Lake, Marmong Point Marina is soon to commence Stage 2 construction at its marina, as well as building dry storage facilities and a 124-seat restaurant. These additional berthing and marine infrastructure projects will be welcomed by the Lake Macquarie boating public and the region’s boating businesses. With Australian Boat Brokers, Lee Bradley and family have been selling and servicing Lake Macquarie’s boating community for more than 20 years. The brokerage upholds a proud reputation for offering the ultimate in customer service from waterfront offices located at Lake Macquarie Yacht Club and Marmong Point Marina. "This is a fantastic opportunity, as boating in and around our dealerships is about to become even more popular," said Lee Bradley on the new upgrades. "The developments at our two key marinas are long overdue, taking pressure off the demand for berths on Lake Macquarie and opening this boating jewel for even more people to enjoy," he said. Australian Boat Brokers prides itself on having a loyal and long-term customer base, built on offering exceptional levels of customer service. 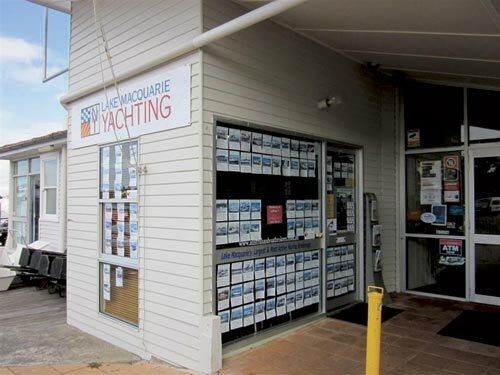 Located in the two primary eastern and western marina locations on Lake Macquarie, the brokerage is positioned in the heart of the Hunter Valley’s most idyllic boating environment. It will sell and broker any size power, sail or trailerable boat, offering back-up support for owners, whether long-term clients or those new to boating. Australian Boat Brokers also offer a one-stop shop for those purchasing a boat being agents for Nautilus and Club Marine insurance, and offering in-house finance. There really has never been a better time to go boating, particularly on and around the majestic Lake Macquarie. Top photo: Marmong Point Marina, Lake Macquarie. 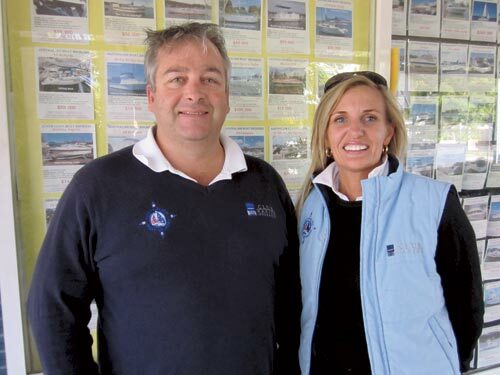 Lee and Clara Bradley from Australian Boat Brokers welcome new berthing and infrastructure improvements on the Lake. 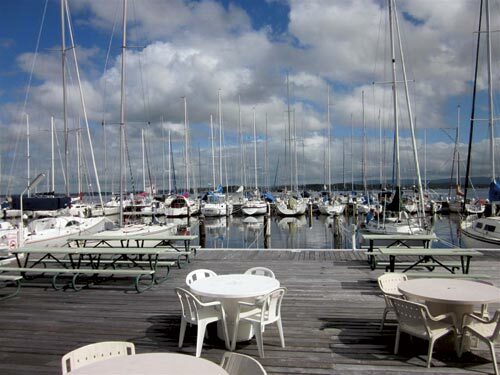 Proposed new restaurant for Marmong Point Marina. ABB oofice at Marmong Point (above), and Lake Macquarie Yacht Club Marina (below). From Trade-a-Boat Issue 428, June-July 2012. Photos by Australian Boat Brokers.